Preservation of the unique 14th century Barn and promotion of knowledge of the history of its architecture, agricultural landscape and people. 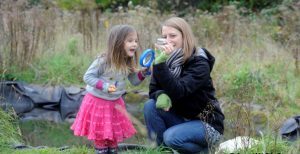 Winterbourne Medieval Barn Trust (WMBT) is busy working in partnership with the owners to revitalise the whole complex into a community-led project based on heritage and food and farming education. Click on the links and begin to uncover the history of this spectacular medieval building. We think it is a pretty special barn and hope you agree! Thank you for visiting this site. Please tell your friends about our work and contact us with offers of support and encouragement. Winterbourne Medieval Barn is a building of national importance. Built in 1342, just a few years before the great plagues swept across England, the barn is a unique survival of the medieval agrarian economy. It was commissioned by Thomas de Bradeston, who was Lord of the Manor of Winterbourne from 1328 until his death in 1360. Records suggest that he ‘dined with friends at Winterbourne in 1353’. Sitting on a finger of fertile agricultural land in the north Bristol fringe in the South West of England, this great agricultural storehouse was in danger of collapse through neglect until it was purchased by South Gloucestershire Council, its current owner, in 1998. A programme of restoration on the Main Barn and the South Range began in 2002, jointly financed by the South Gloucestershire Council and English Heritage. Click here to go to our full event listing page. 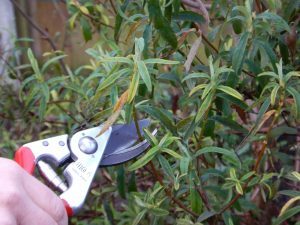 Pruning – an insight into the general principles, to get the most from our shrubs. This illustrated talk will cover the basic principles, help you avoid some common mistakes and hopefully clarify some confusions. Is your purse bulging with loose change? Are coppers weighing your pockets down? Fed up with carrying around small change? Then, we’ve got the ideal solution. Get yourself WMBT home money box and use your loose change to help save the Barn. Simply pop the box on the shelf and then everyday you can clear out those coins that clutter up your wallet.